The following research students have now completed their DPhils and master’s programmes. 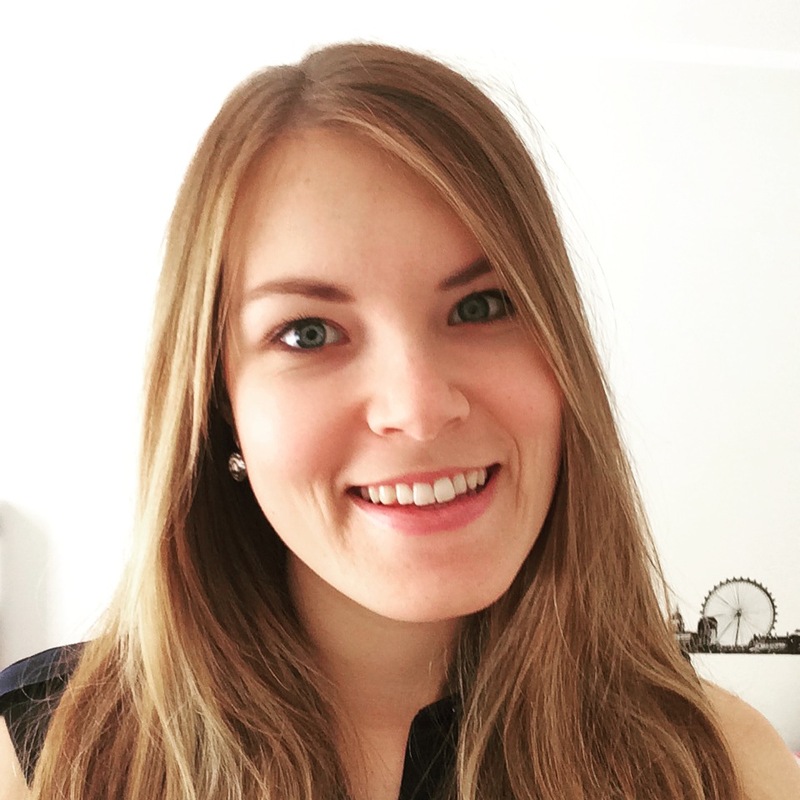 Ashlee Beazley (St. Peter’s College) is an MSt graduate student in Modern British and European History. Originally from New Zealand, Ashlee has undergraduate degrees in Law and History from the University of Auckland. Under the supervision of Professor Selina Todd, Ashlee’s dissertation will be investigating the social and personal consequences of the First World War on women. Denis Clark (Jesus College) is completing his D.Phil on British, French, and American attitudes and policies towards the rebirth of Poland during and after the First World War. In particular, he focuses on how stereotypes of the Poles – both positive and negative ones – impacted how the Allies perceived the Poles and made their decisions. The Allies knew little about the peoples of Central and Eastern Europe when the First World War began. Over the course of the war, however, representatives from the Poles, Czechs, South Slavs, and other groups lobbied the Allies for support of independence, and Allied diplomats developed opinions based on these interactions. That these opinions were often based in stereotypes – that all Poles are quarrelsome, for instance – reflects not only the tendency at the time to think in terms of timeless national (or racial) characteristics, but also the human tendency to simplify the world in order to make sense of it. In the future, Denis plans to examine how such stereotypes affected the conduct of international relations in the twentieth century. 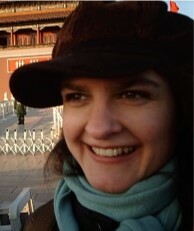 Elisabeth Forster (University College) has completed her D.Phil in Chinese Studies. Her dissertation explores how China’s New Culture Movement was invented over the course of the year 1919. The New Culture Movement describes a cultural phenomenon in the 1910/20s, said to have marked, for example, the beginning of the modern Chinese language. As such, it is one of China’s national myths and has been constructed into a starting point for modernisation in China. It was also intricately linked to World War I, as the idea of a New Culture Movement emerged in the wake of Chinese protests against a clause in the Treaty of Versailles. Drawing upon Chinese- and English-language journals, newspapers, conference protocols and archival materials, Elisabeth explores the nexus between political events, cultural debate and media coverage. She examines how the protests against the Treaty of Versailles could lead to the invention of the New Culture Movement in 1919, and how the meaning of this expression was negotiated in the early 1920s. This research sheds light on the shaping of national myths, the effects politics can have on the individual lives of even the seemingly uninvolved, and the unexpected ways in which global conflicts can play out locally. 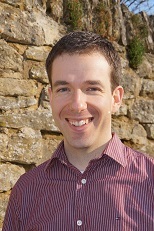 David Lewis (St. John’s) has completed his DPhil in the History of Art. David’s thesis is the first scholarly study of the work of the architect Giles Gilbert Scott, most famous as the designer of the red telephone kiosk, Battersea Power Station, Liverpool Anglican Cathedral, and the House of Commons Chamber. Naturally, his work included many memorials to the Great War, including the largest war memorial in the country, Charterhouse Chapel. Through his work on Scott, David has become interested in habitable war memorials as objects of memory. Buildings such as the Memorial Court at Clare College, Cambridge, were designed with the intention of shaping the next generation so as to prevent another war. Elaborate theories about the psychological impact of the built environment and the nature of symbol were invented in an attempt to mould history and communal memory. David’s research also focuses on religious anxieties pre- and post-war and trans-national influences in architecture. He is currently working on an article about the wartime correspondence between the American architect Bertram Grosvenor Goodhue and the British architect Cecil Brewer. 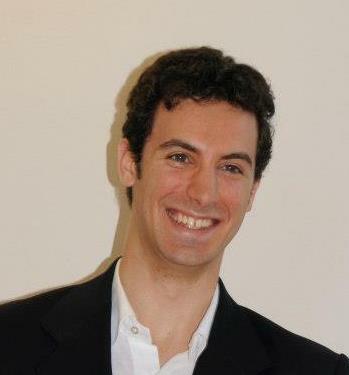 Stefano Marcuzzi (St. Anne’s College) is completing his DPhil on the Anglo-Italian relations during the First World War. His dissertation aims to reconstruct the cultural, military and political environment in which the collaboration between Italy and Britain developed during the conflict, stretching from diplomatic to financial relations, military cooperation and propaganda. Italy’s role in the process of integration of the Entente has been generally overlooked, in part because the Italian Front was considered a minor one, in part because Italy fought lengthy ‘its own’ war. The British efforts to have Italy involved in the global strategy of the Entente, overcoming the Italian reluctance to commit itself to “total war” against Germany and the policy of blockade, deserve attention: it was thanks mainly to Britain’s role as a mediator, if the ever-strong competition between Italy and France was slowly overcome, leading to the creation of the Supreme War Council and the full integration of the Entente. Also, Italy’s commitment abroad, which gradually increased in the last two years of the conflict – in the colonies, the Mediterranean, and the Balkans – needs to be re-evaluated, as it proved to be an important step towards the final victory. Assuming a transnational and comparative perspective, Stefano’s research offers food for thought on many aspects of the Great War too often neglected by both Italian and Western Allied historians. Meighen McCrae (Linacre College) studied the Allied notion of victory and how it was expressed in the depth of Allied strategic planning during 1918 for a war-winning campaign in 1919. In her thesis, entitled ‘Ambushed by Victory’: Allied Strategic Thought about How to Win the First World War, she uses the Supreme War Council as a lens through which to assess the efforts of Britain, France, Italy and the United States to forge a tightly coordinated coalition in the final year of the war. Her research brings to the forefront the Allies’ focus on a global strategy and the interdependent nature of the theatres in the Middle East, southern Russia, the Balkans, Italy and France/Belgium, as well as the material preparations which underpinned this strategy. Arguing that the work of the Supreme War Council was overshadowed by the abrupt ending of the war, Meighen’s work reframes our understanding of 1918 as ‘the year of victory’ and the SWC as the mechanism for Allied coordination. Aoife O’Gorman (Balliol) is completing her D.Phil. on academic propaganda during the War. A cross-cultural study, focusing primarily on academics in Oxford and in Berlin, her thesis aims to highlight the common themes, concerns, and arguments which divided a formerly close international community – and the ways in which academic debate on the war continued to operate across closed borders. An extension of this debate to the post-war period reveals a persistent bitterness towards former friends turned enemies, which only slowly begins to ease during the 1920s. In charting the changing attitudes of academics towards the war, clearly visible in pamphlets and essays, and in exploring not only the form, but also the content of the propaganda produced by Oxford Dons and Berlin Doktoren, Aoife hopes to broaden the discussion of activity on the home front and to bring to light a relatively under-researched area of the war for hearts and minds. Dr Patrizia Piredda (MA in Arts; MA in Philosophy; PhD in Modern Languages; MLitt in Modern Languages) worked on the translation and commentary of the Lecture on Ethics and the Three Lectures on Religious Belief by Wittgenstein, with a critical introduction about Wittgenstein’s philosophy (Marchese publishing, Naples, 2014). Patrizia organized the research seminar Ethics and Literature of the Great War. Representation of Crisis, at the Institute of Modern Languages, University of Frankfurt, (28th April 2014), in preparation of a postdoctoral research project about ethics and literature in the World Wars. Her research interests concern the connection between literature (nineteenth and twentieth centuries) and philosophy, in particular ethics and aesthetics (Aristotle, Plato, Kant, Nietzsche and Wittgenstein). 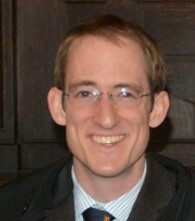 Steven Wagner (University College) completed his DPhil on British Intelligence and Policy in Palestine from 1919 to 1939. His research uses intelligence records and other multilingual sources to illustrate intelligence as a key tool in British colonial policymaking and security. Intelligence records also serve as a mirror, demonstrating new aspects of local politics. This work deals with the origins of the Arab-Israeli conflict, but also sheds new light upon the process of decolonization, and the failure of the Palestine Mandate. Steven’s future research deals with the origins of the problems inherited and created by Britain as it occupied much of the Middle East following the First World War. Britain’s expanded empire depended on intelligence as an aid to manage relations with independent Arab kings, as well as colonial elites. Yet Britain’s decision in 1915 to support an Arab revolt against the Ottoman Sultan came with unforeseen consequence, since the Arab nationalist movement functioned in secret until the armistice. Intelligence records as well as other under-utilized archives demonstrate how the First World War reshaped the Middle East, but also the emergence of long-lasting tensions between Britain, Arab nationalism, and independent Sheikhs whose families still rule Saudi Arabia and Jordan today.